Hey Curvies! How was your weekend? I hope everyone had a wonderful Easter. I did, I had a simple Easter Mass, lunch with friends and Easter dinner with Family. It was a joyous Easter celebration. I also celebrated with this stunning Joyce dress from Swak Designs. 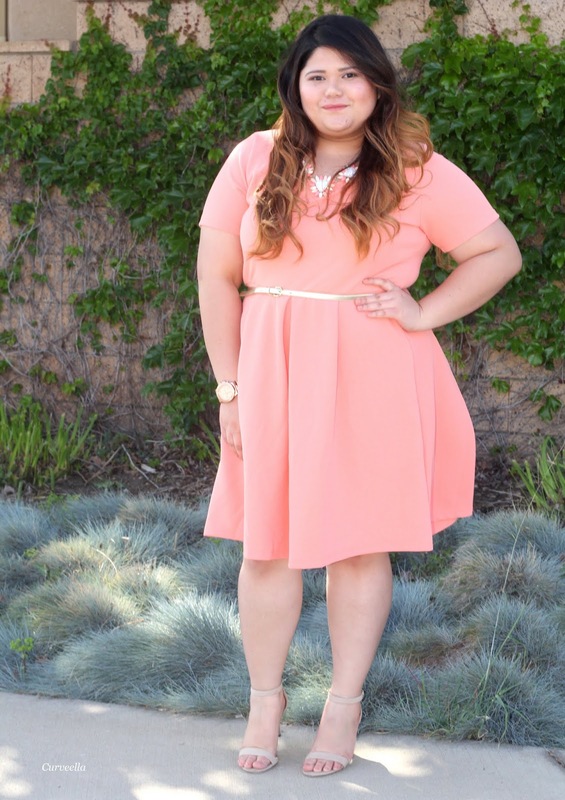 A pastel peach dress perfect for the hues of Easter color. A very elegant dress with a sweet and girly vibe and a dress that will sure make you twirl and play. Swak Designs a contemporary plus size fashion boutique that offers a wide variety of stylish plus size clothing from sizes 14 up to curvy size 36.